Courtesy of Keller Williams Realty, Donna Madigan. You will love this beautiful 3 bedroom and 2 bath home located conveniently in the heart of the Mid Cape! Featuring 1200 square feet of gleaming hardwood floors, new flooring in kitchen, and tile in bathrooms. Recent updates include a new roof, furnace, kitchen appliances, hot water heater, air conditioning, updated wiring and fixtures! A one car garage, outdoor shower, and patio overlooking a spacious backyard round out this excellent value. Located less than a mile from the Elementary and High School – this home is an excellent option for families. Passed Title V.
Disclosures: Agent Is Related To The Sellers. The Sale Is Contingent Upon Sellers Finding A Suitable Home To Move To. The Sale Is Contingent Upon Buyers Closing After June 2, 2019. Please, send me more information on this property: MLS# 72482394 – $337,000 – 157 Captain Small Rd, Yarmouth, MA 02664. 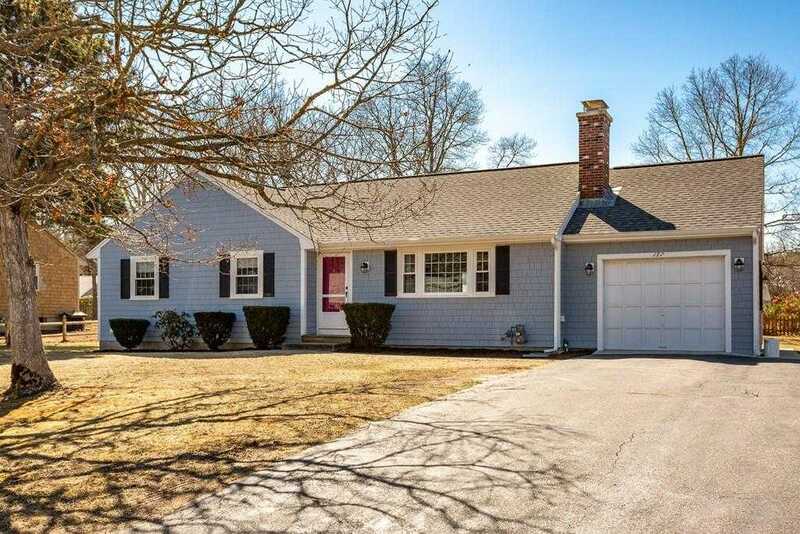 I would like to schedule a showing appointment for this property: MLS# 72482394 – $337,000 – 157 Captain Small Rd, Yarmouth, MA 02664.